As a gardener, I always put my best effort to care for precious plants and grow them beautiful and strong. But, the reality doesn’t always happen the way I expected. Lots of risky impacts can endanger a fragile and weak plant which I nurture, even ruin my efforts. That’s the reason why I think about a grow tent that helps to safeguard my plants from severe weather, dangerous insects, and outside factors while offering the excellent conditions for plant’s growth. Since I recognize that finding the best grow tent for plants is a tough thing, especially if you’re beginners. And when you are here, I will show what I know about this tent in order to support you to make a right decision. 5.3 How about the ventilation? A basic grow tent is the fabric. It’s covered around a frame which is made of metal poles. Also, the fabric is wrapped with a reflective material on the inside to take a high amount of light for the plants. As compared with heavy grow boxes, the grow tents are easy to transport and versatile, but they are quite fragile. Do you know that the environment occupies over 40% of the successful development and growth process? For instance, a tropical plant will not grow well in the colder climate and vice versa. Hence, to gain the highest yields and blooming from the plants, you need to notice and direct all factors. Getting the grow tent packages does not only offer a great enclosure and ideal protection but also give a good opportunity to nurture the plants in a better way. Wonderfully, you can shut out outer elements that can destroy your efforts and add the excellent conditions for the plants to grow. Aside from protection, the management of the environment where the plant is flourishing is the biggest cause you should look for the grow tent. If you love nurturing the exotic plants, but you live in harsh or mild climate, having the grow tent is an obligatory thing. One certain thing is that this kind of tent is easy to set up and assemble (I will guide it later) and offers a large area (depending on each model and size) for extra equipment that guarantees your plant’s development. What’s more, it might be customizable and permits superb lightning, moisture, and ventilation control to help you control the plant’s flourishing to the fullest. The market of grow tents is so big with hundreds of different sizes, features and price points from various manufacturers. So, it’s quite difficult to narrow down the best brands and which features are suitable for your demand. Even some grow tent manufacturers give gaudy names for the features instead of calling the normal names. In order to make your search easier, below are necessary features that you need to pay attention when seeking for the ideal grow tent. Normally measured in feet, the size shows how large the tent is. The dimension chart begins from 2×2 and exceeds to custom measures that you want. Keep in mind that the size of the grow tent is one of the most significant decisions you’ll decide. If you go for an oversized tent, you will confront the risk of paying more for the energy and basic equipment. If you select an undersized one, you will face the risk of a crowded and unhealthy environment for the plants. You should choose the grow tents that are light to transport or move around and simple to handle. Depending on your chosen size, the tent’s weight can be from 20 pounds and more. 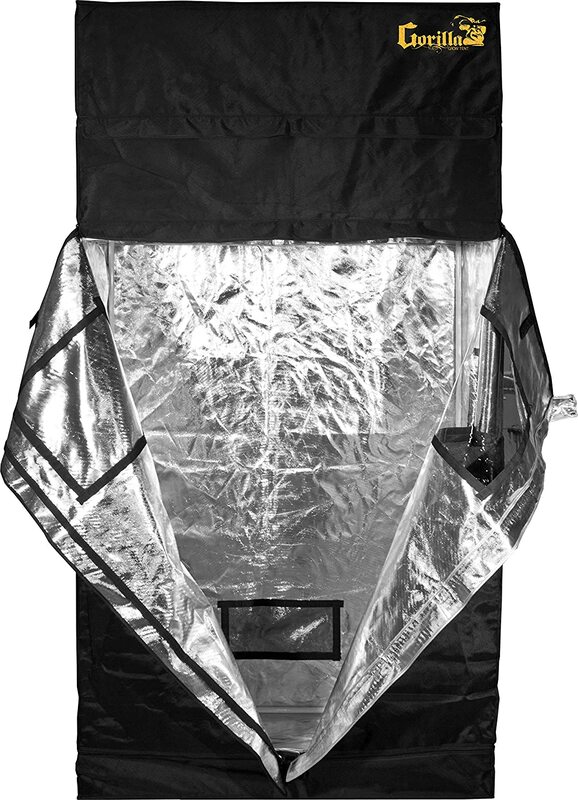 A grow tent has three kinds of ports including cord, exhaust, and ventilation. The ventilation ports are merely flaps protected by Velcro that can be raised to vent out hot air. Make sure your grow tent has at least one ventilation port. The exhaust ports are for greater ventilation. To normal tents, there is usually at least one outtake and one intake port while the larger tents have more than one. The well-placed cord ports help to plug in your growing equipment effectively. Another important feature in a grow tent is the reflective material of the interior walls. It guarantees that you are able to take full advantage of your indoor grow lights. But, remember that not all reflective material is formed equally. The best thing is to seek for tents that provide reflective Mylar or the grow tent heater. The good grow tent’s frame should be made from high-quality materials. If the frame is not strong enough, it cannot protect the plants from the fundamental outside factors like wind and rain. Except for its durability, it needs to be as light as possible. Most of the grow tents come with zippers for easy opening and closing. Their use is to protect the plants inside. Of course, it’s easy and comfortable to use. That’s why the zippers need to be high quality and durability to confront the test of the outdoor environment and time. Aside from basic features above, there are a couple of additional properties that you shouldn’t miss. If you need an extra failsafe to spill water or nutrient solution or your system unluckily fails, a flood tray is known as a nice method. It’s laid on the bottom of the grow tent and fastened to the poles for holding the liquid. Some grow tents are designed with a net trellis. It’s quite convenient when you’re growing plants in a method that needs a compatible-height canopy. The tool pockets help you avoid misplacing necessary tools around the garden. With a tool pouch inside the grow tent, you are able to keep the necessities in handy. In case you need to check the development of your plants without interrupting them, the viewing windows are ideal. Make sure they’re secured tightly with Velcro to block light leakage when not in use. Or if you’re using additives such as CO2 in the indoor garden, these windows help to stop the CO2 buildup. 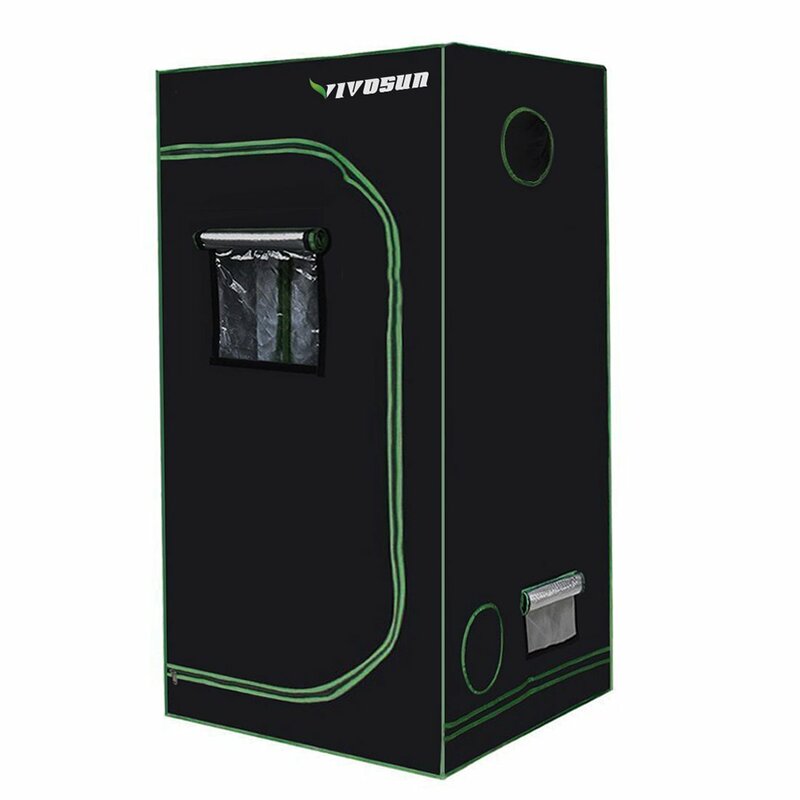 The VIVOSUN 48”x48”x80” is known as an extremely high-quality and durable grow tent that will last for years. It comes with all the features that are expected in a good grow tent, plus some bonuses that make it even sturdier and handier. The material used in wrapping this tent is made of the 600D plastic, which is tearproof and double stitched to increase its strength and prevent light leakages. Besides, its fabrics and internal 95%-reflective Mylar coating keep the light concentrated on the plants. Thanks to a durable and strong canvas on top of the tent, it performs effectively. The VIVOSUN’s frame is built of powerful steel tubing and there are some hanging bars across for lights, fans, or ballasts. Plus, it boasts the best and longest lasting zippers that are placed on all the doors. What’s more, this grow tent is equipped with plastic observation windows for when you just want to snapshot the plants. Last but not least, setting up the tent is not difficult and requires no tools to assemble. Relying on that, you can save much of time. If you feel confused about the best 4×8 grow tent that is equipped with a lot of features for an affordable price, you cannot go wrong with the iPower 96”x48”x80” tent. It is designed with highly tear-resistant materials with over 95%-reflective Mylar internal coating that are double-stitched and secured from light, water leaks, and other outer factors. Another great feature of this product is its strong and durable frame that helps it stay robust and firmly. In addition, the stainless-steel bars on the top are described to handle up to 90 pounds of weight, which is more than enough for the lighting, ventilation, humidifiers, etc. What’s more, the frame’s corners are equipped with the push-lock mechanism to protect the bars tightly. Every iPower grow tent offers a user manual for an easy assembly. Since the frame comes ready to set up, you don’t need to prepare any tool. No matter where you want to install this tent in your apartment, greenhouse, condominium or any rented areas, this product is always your best selection. 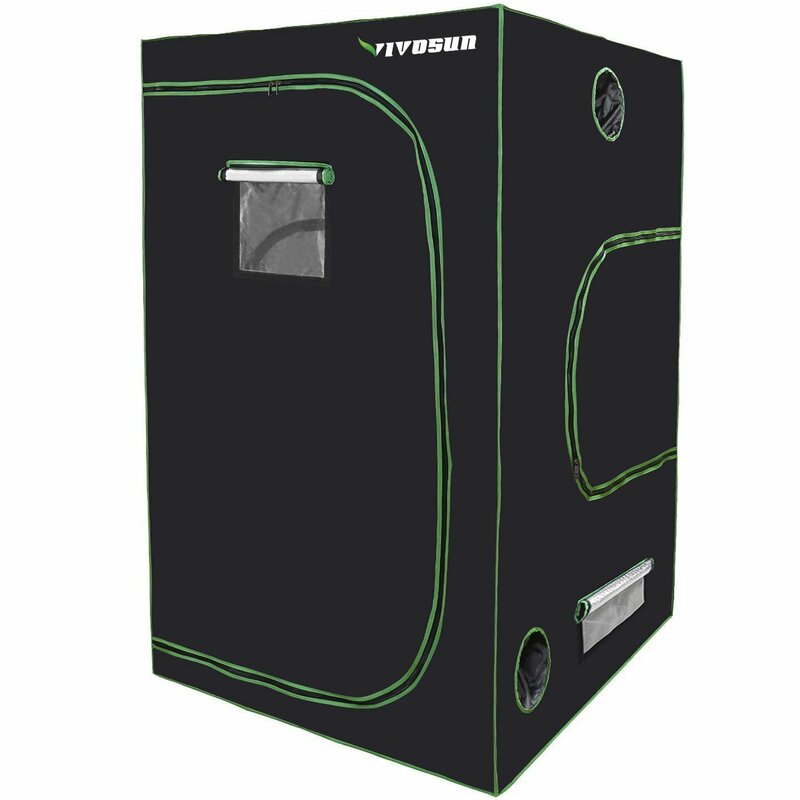 Among my grow tent reviews, the VIVOSUN 36”x36”x72” is known as a low-cost choice to other expensive brands. 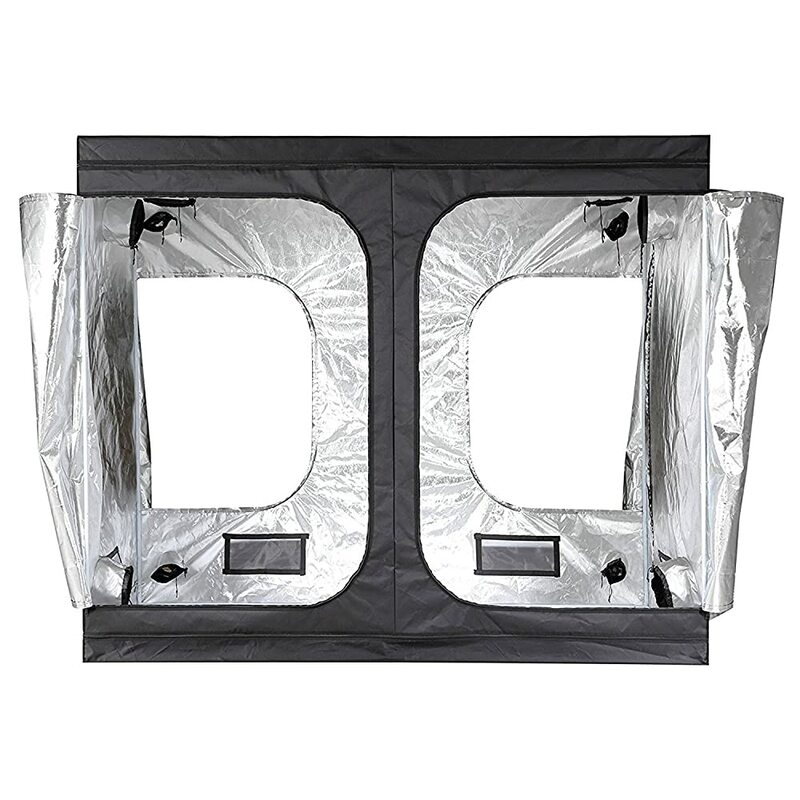 It comes with the 600D double-stitched fabric for efficient light blocking and is securely lined with 95%-reflective Mylar coating, creating a constant and quiet environment for your plants. The frame is built of powerful steel interlocking tubing. The ducting is also double tightened to get rid of light leaks. What’s more, the heavy-duty metal zippers are used on the door opening to guarantee a smooth operation for years. Aside from the greatest zippers for an easy access, this model offers good viewing windows in such a way that you can observe your crop without opening the door. On a search of the good grow tent for using in a professional greenhouse environment with accurate supervision and ventilation, you shouldn’t miss the Matrix Horticulture 96”x96”x80” tent. This model offers you a premium construction than other competitors. You will see no plastic corner connectors since all are made of 100% steel, creating a firm and powerful support. Additionally, it is made with a heavy-duty 600D canvas exterior, offering 100% tear-resistant and light-proof Diamond Mylar reflective coating. The clear-view observation windows permit you to observe the growing plants without interrupting the ideal growing environment. The dual-layer ducts don’t only prevent light but also improve odor and climate control. Plus, the micro-mesh vents are quite effective for pest control. What’s more, you can easily access to your garden thanks to rear arch doors. Similar to the above grow tents, you aren’t anxious about assembly since the Matrix Horticulture provides quick-click poles and an easy-to-follow instruction manual. Feel free to install this unit anywhere in your home. Especially, when purchasing this grow tent, you will receive a great customer care with a 30-day hassle-free money-back guarantee and 1-year warranty. Whether you are an expert or beginner, the Gorilla grow tent LTGGT24 is an ideal choice since it’s equipped with lots of features that make it perfect unit. The first thing that I would like to mention is its height adjusting with the unconcealed unfinished adjustable extension poles (which are sold separately), permitting you to raise the height of the tent (from 6’ 7” to 7’ 7”). The durable and trustworthy canvas offers a secure growing environment for the plants. Also, the micro mesh pre-filters help to prevent annoying bugs. The LTGGT24 belongs to the LITE line that avails all steel frame, interlocking as well as offering observation windows, durable fabric, powerful zippers, and tightly reinforced seals. Most of the growers choose this line because they can save much money for a lighter-weight grow tent. Truly, the LITE line tents are just 60% as weighty and 70% as expensive as their common products. In addition, this product has big EZ viewing windows, providing snapshots of the growing plants without disturbing the environment. What’s more, the doorways and wraparound zippers provide a 360-degree handy access. The last name of the 6 best grow tents is another model from iPower. Its dimensions are 60”x60”x80” that is perfect for those who have a moderate area to plant. This tent itself is double-stitched, tearproof and equipped with heavy-duty zippers in order to guard light against escaping. The material is also long-lasting and durable and is strengthened by metal poles. Hence, don’t be worried of the tent collapsing. The frame itself can endure more than 110 pounds. Moreover, its structure and material make sure that odors don’t leak and pests don’t penetrate into. The tent interior is coated with over 95% reflective Mylar, aiding you to generate a higher yield while saving your energy bill. In addition, it comes with a removable Mylar floor tray. Thanks to a user manual in every iPower grow tent, it’s not hard to carry out a smooth and easy installation. Also, you get a one-year warranty. As I said at the beginning, after showing a series of necessary information and products of the grow tent, I will introduce you how to set up it. If you’re a beginner and feel worried, a comprehensive grow tent setup below will help you a lot. Most of the tents (even pod tents or weed grow tent) are constructed very similarly and the constructing process is typically the same for all. Just remember that the fundamental process includes assembling the frame and covering the cloth. Although some require particular additives, it doesn’t take much time to do. In case your tent is so big, you should ask for help to assemble easily. Getting appropriate lighting is also important. If the lamps are not enough for the tent’s size, you cannot get ideal plant vegetation. Or if the lamps are too big, the heat will be a trouble. Aside from picking up one of four basic kinds of lamps consisting of plasma, fluorescent, light emitting diode (LED), and high-intensity discharge , you also consider other factors like cost, color spectrum, customer support and ease of maintenance. The LED grow lights are known as the best choice for the grow tent. Moreover, setting up them is quite easy and simple. All you just do is to attach the holders to the fixture and you’re done. The application of a carbon filter is not compulsory. You should know that this filter is designed to maintain air clean and free of odors that might get out of the room. If you think it’s not necessary to have the ventilation, it’s okay. However, make sure there is always enough cool air outside the tent in order to cool it. The best thing is to assemble fans to pull air when you need. The next important step after setting up is dialing in. This action is about examining and determining a balance between environmental elements such as heat, airflow, humidity, etc. and your equipment to ensure the grow tent operates in a steady environment. But, how? Let it run for a while to test all the equipment and keep in mind to place the environmental meter in the tent. Relying on that, you are able to get a feel of how it’s operating and observe the numbers. The optimal temperature should be between 20 to 260C. In addition, guarantee everything is tightly fastened and not tend to fall. Try shaking a bit to see whether it’s safely placed. Time to put your preferred plants inside the grow tent, then water and fertilize them if necessary. Besides, remember to check the whole hydroponic system to guarantee that the light and fans are operating accurately. Lastly, close the tent and keep an eye on any holes or gaps surrounding. Hope that this article has given you important information about the best grow tent for plants. Make sure you know what makes a grow tent good or bad, which brands are popular and which suitable products are relied on different size grow tent after reading. How big of a growing operation you want. Which features are important to you. What you’re going to grow, the lights you want, and how high your plants will develop. 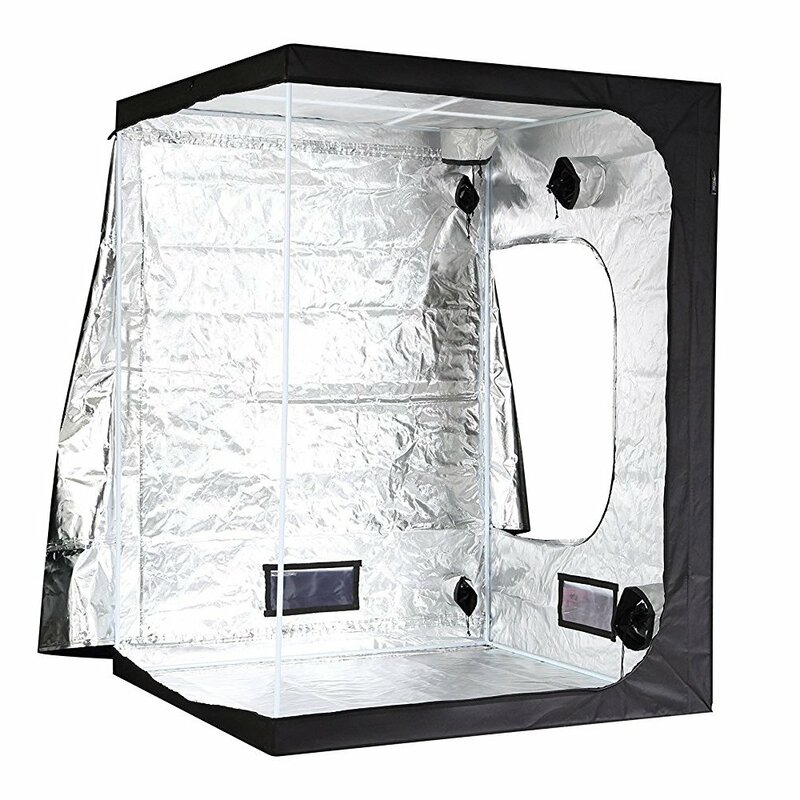 How much you can pay for this grow tent. In case you want my own opinion on the good tent, I will opt for the Gorilla grow tent since it has all necessary features that I need. Especially, adjusting its height to fit my plants is easier. 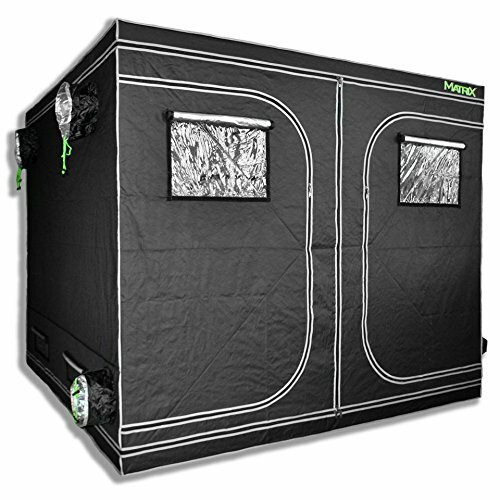 No matter what you decide, the grow tent will make your life convenient as well as helping you have better yields. Think carefully and make an accurate decision now! And don’t forget to ask me any question if you are still confused or share it if you like. How To Choose The Best Outdoor Storage Sheds? Deb Pearl on How To Choose The Best Outdoor Storage Sheds? moyue on How to set up a grow tent: What you need to do to be a pro! Botaniclawn.com is a participant in the Amazon Services LLC Associates Program, an affiliate advertising program designed to provide a means for sites to earn advertising fees by advertising and linking to amazon.com, amazon.co.uk, amazon.ca, endless.com, smallparts.com, myhabit.com, and any other website that may be affiliated with Amazon Service LLC Associates Program.